For the love of bunnies, zombies and frocks! : The Terminator set to terminate zombies??? Hey there BZF Buddies, 'what is this' you say?? Have Paramount Pictures decided to do a Terminator/Resident Evil crossover film? Well not exactly, but the Governator may be about to deliver his most highly anticipated film outside the Terminator franchise and since he returned to the silver screen. 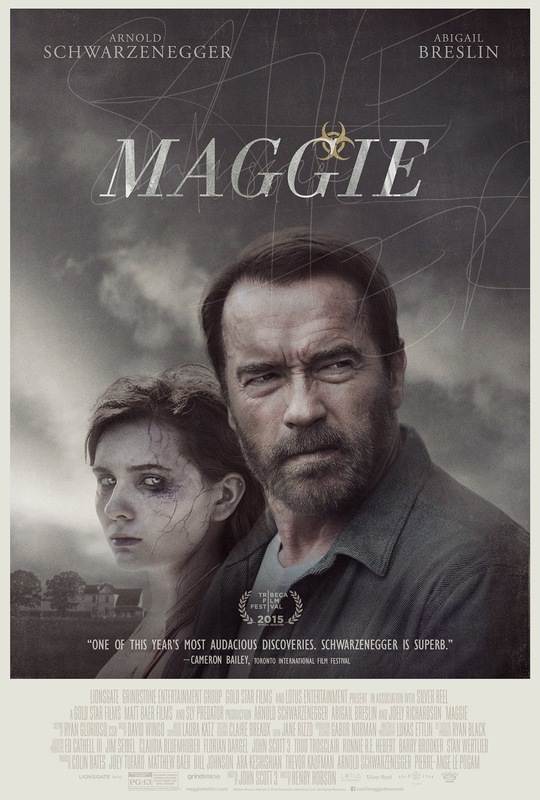 This new feature is titled Maggie and focuses on a father daughter relationship in a post apocalyptic world ravaged by a zombie plague. Arnold's character is put in a terrible position when he learns that his daughter is about to succumb to a horrific decline (whilst getting a taste for human flesh) over a number of weeks before the inevitable takes hold of his little girl. The trailer below does a fantastic job of building dramatic tension without coming across as forced, which is a big tick for a movie starring the world's most famous action hero. Abigail Breslin who is always a reliable player, stars in the role of the daughter who undergoes quite the gruesome transformation. I definitely love a zombie movie with heart and not just the kind that gets munched on, rather a film that focuses on the relationships and challenges within a family unit and how they overcome the adversity before them. Check out the trailer for your chance to see Arnie take a bite in the ever lucrative zombie film market.